Another great slot coming from the vast IGT portfolio. The game will instantly catch your attention with its popular theme and Super Stacked symbols during the bonus round. 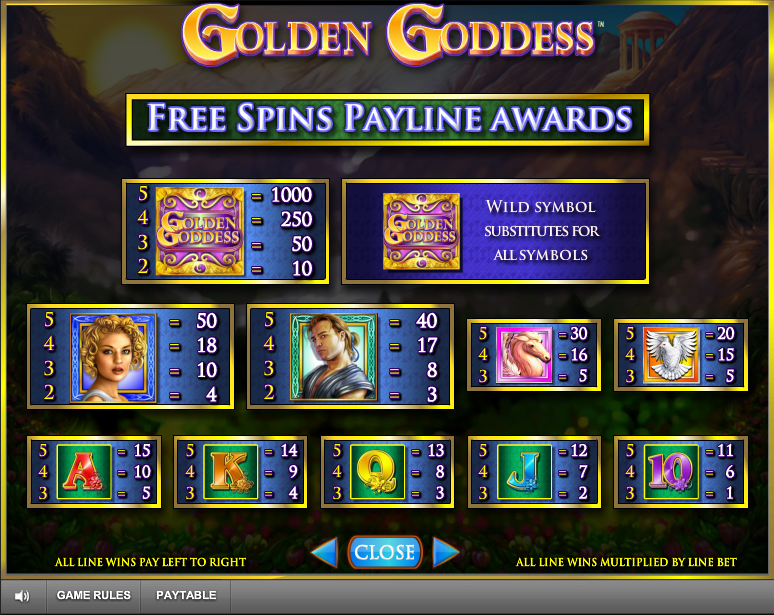 Golden Goddess is a video slot coming from IGT. The game reels are set on a mountain top where players can land big payouts thanks to the Super Stacks symbols. This is a fun slot to play with an attractive set of bonus features and an interesting gameplay. The game theme in Golden Goddess comes from Greek mythology. The Goddess symbol in the game resembles Athena and the Horse symbol is most probably inspired by Pegasus. The visual details in the slot are on a decent level, despite the lack of modern animations. Overall Golden Goddess is a visually attractive slot which will certainly catch your attention. The gameplay in the slot is pretty fast and exciting. All of the symbols can land stacked across the reels so you can easily land a full screen of matching symbols in a single spin. This guarantees a big payout thanks to the big number of pay lines and the rich paytable. 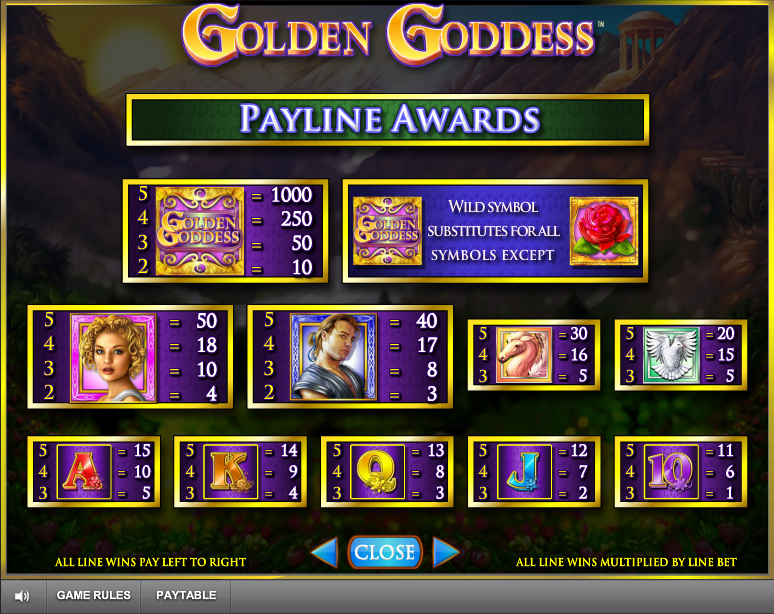 Golden Goddess is a 40 payline slot with 5 reels and 3 rows. 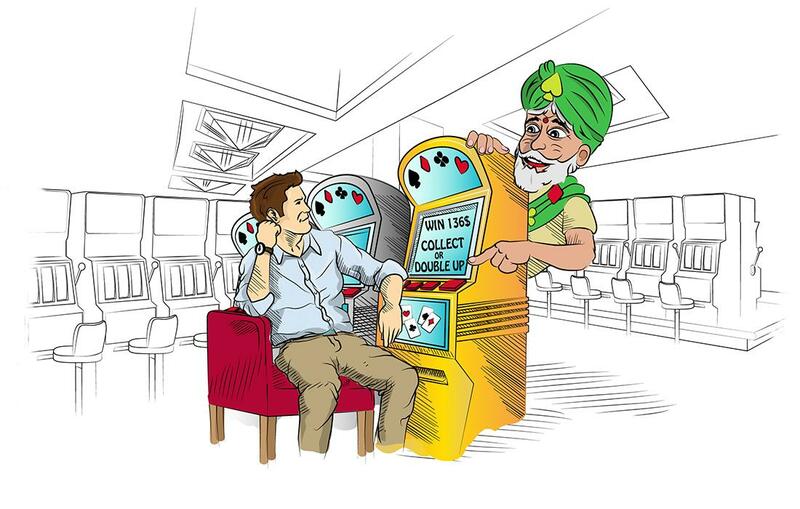 Players can bet anywhere from $0.40 to $20 per spin. 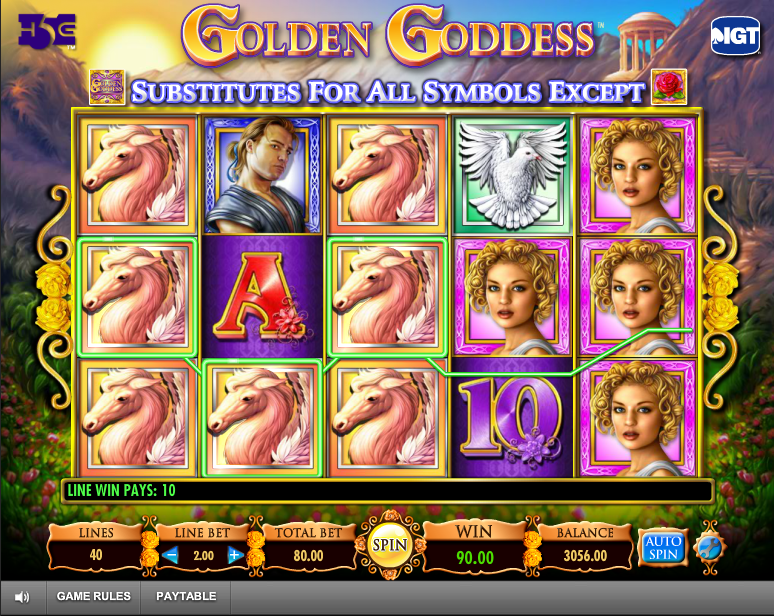 The biggest payouts in the slot come from the Golden Goddess Logo symbol. Landing 5 of them on a winning pay line will reward you with a 1,000-coin payout. If you manage to land a full screen of these symbols you will walk away with a 40,000-coin payout. The RTP value in the game is 96% and the slot comes with a medium to high variance. The Golden Goddess Logo symbol is the Wild symbol in the game. It can land stacked on every reel and will replace all symbols in the game except for the Rose symbol. The Rose is the Bonus symbol in the game and it can land on reels 2, 3 and 4 only. 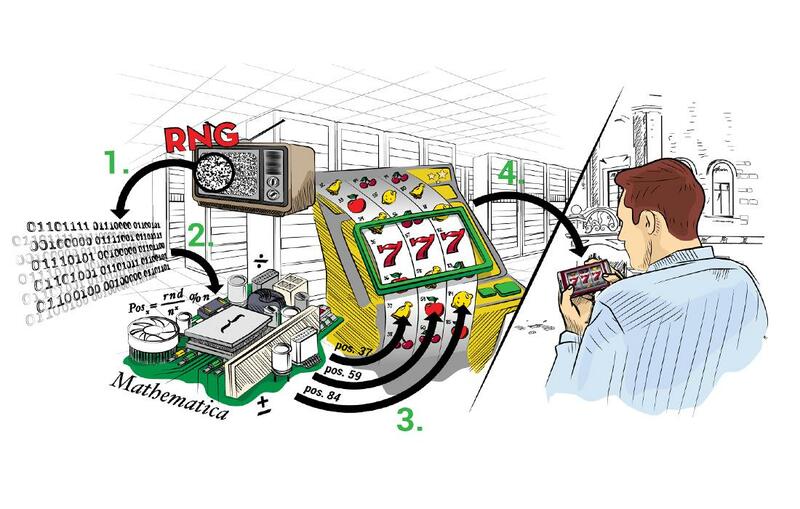 It can land stacked on the reels and once it covers the three central reels the free spins bonus is triggered. 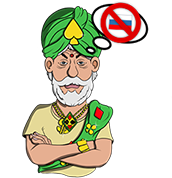 The player is awarded with 7 free spins which can be re-triggered during the feature. Before the free spins start the player will need to pick one of the Rose symbols. This symbol will reveal either the Goddess, Prince, Horse or Dove symbol. The chosen symbol will act as a Super Stacked symbol during the feature and all stacks of symbols will transform to the chosen symbol. Golden Goddess is an interesting slot coming from the big IGT portfolio which is sure to catch your attention. The visual details in the game are decent and the designers used a popular Greek mythology theme. The stacked symbols during base play and the Super Stacks during the feature can easily award a full screen of identical symbols and a big payout.